This website began life as a university project for Anita and is now a development project for Live Heritage. 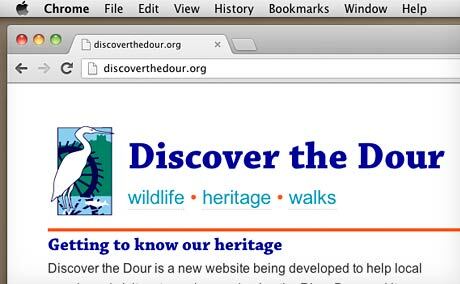 When complete, this fully responsive and interactive website will help local people, schools and visitors appreciate the diverse industrial heritage and ecology of the River Dour in Dover. Other elements to the project will include resource materials for schools. The project has recently received funding from Dover Town Council to instal 8 QR code plates along the river in the Tower Hamlets ward linking to online resources and also from UnLtd to support some of the project's capital costs. 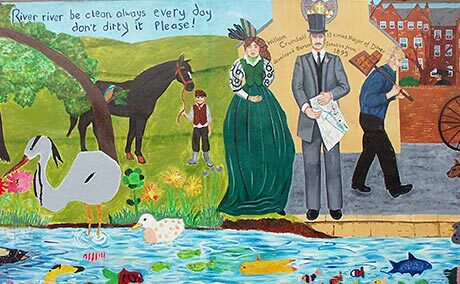 Barton Path Mural brought together children from Barton Junior School, Charlton Primary School and Dover Girls Grammar School, who created the design along with members of the local community who helped with the painting. The project was overseen by artist, Anita Luckett. The completed mural has been a source of pleasure and pride for the many people who regularly walk the path. It has seen a reduction in graffiti and is used as part of casual learning by young children. Contact us if you have a project you would like us to consider. 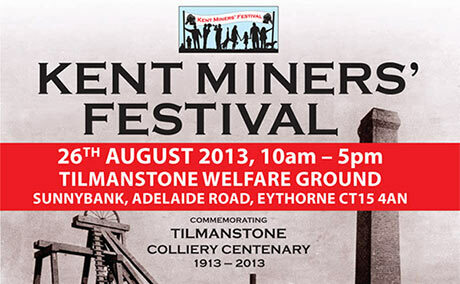 Live Heritage started working with the organising committee of the Kent Miners Festival in 2012 to redevelop the festival website, provide design and print services for publicity materials and assist with the logistics of planning the event. We provided a package which included using advertising revenue to subsidise the cost of the services. Since then, Anita and Andrew have continued to work with the committee our services have been retained for 2017. 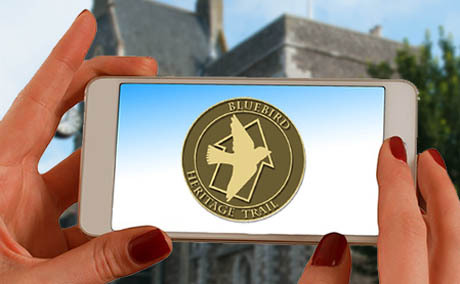 Live Heritage have built the website and developed the App for this Heritage Lottery Funded project providing a self-guided heritage walking trail around historic Dover. 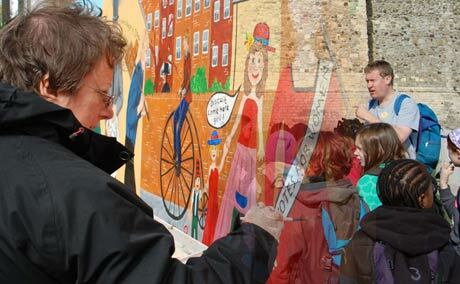 Live Heritage is a not-for-profit Community Interest Company formed in 2012 by Anita Luckett and Andrew Denyer. We aim to help community groups and small organisations in Kent and southeast England to access funding and manage heritage and ecology projects in their local communities. Anita trained as a graphic designer at KIAD and worked in the signmaking, interior design and fine art sectors of the design industry before becoming the in-house designer at Dover District Council. Since leaving DDC she has built a successful business, Ace Designs, which encompasses all areas of design from community murals to heritage interpretation and commercial graphic and web design. She has just completed a BA in Digital Media. During a career committed to local heritage, tourism, education and the environment, Andrew has developed a wide range of administrative and creative skills. He worked for Ripple Down House, an environmental education centre specialising in residential field study for primary schools, for over 13 years in a role encompassing administration and marketing as well as leading educational field trips. Alongside work on Live Heritage projects, Andrew is part-time Parish Clerk to both River and Tilmanstone Parish Councils. © 2015 Live Heritage CIC All rights reserved.